The 60th Class Reunion Committee met on May 10st. 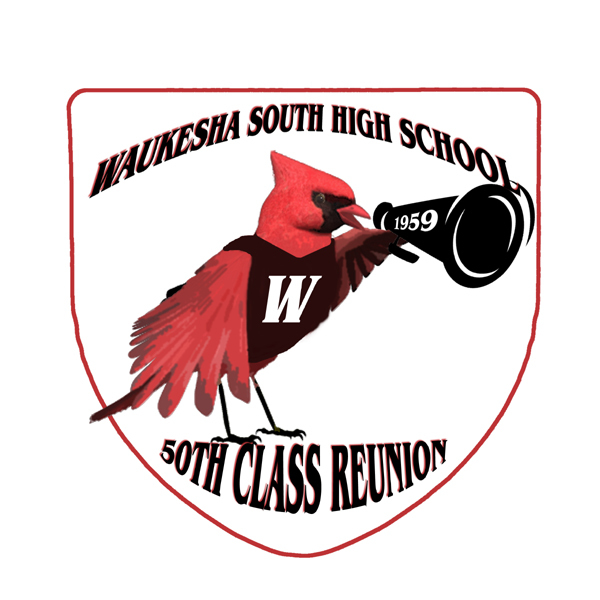 We are planning our reunion for the weekend of August 16th & 17. The next meeting will be held on March 22nd. See Upcoming Events for details. If you have a new or changed email address, please provide information to Linda Vincent at lindavincent@wi.rr.com. Our "Memorial" page for those who are no longer with us has been updated with information we have as of 1/28/2019. If you have any additional information, please send it to Linda. R. G. "Reinie" Hein was the best friend a student body ever had. Through simple and brief words you knew he expected you to do well and this motivated many of us to not disappoint him. 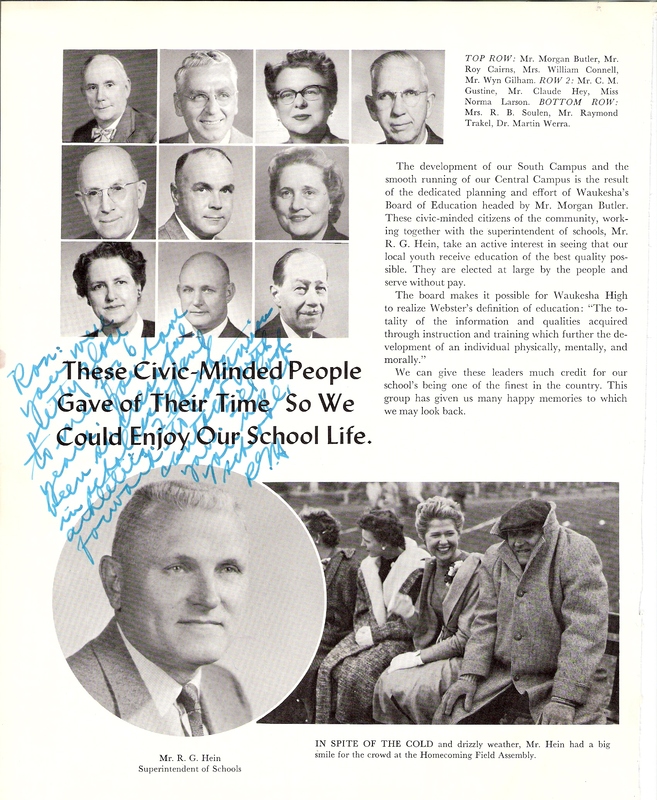 The class of 1959 was the first graduating class at South Campus, as it was known then, to complete both junior and senior years at the new school. 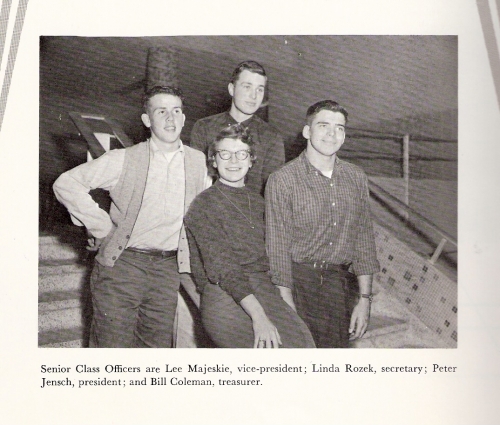 We were also the centennial graduating class. 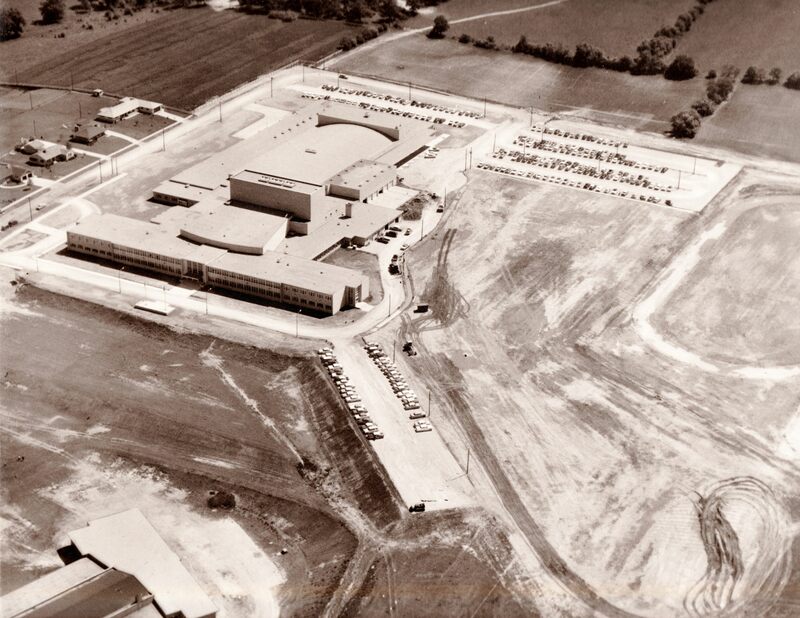 It was with much anticiipation that we left the old Central High for a state of the art school with a real gymnasium, pool and modern class rooms. 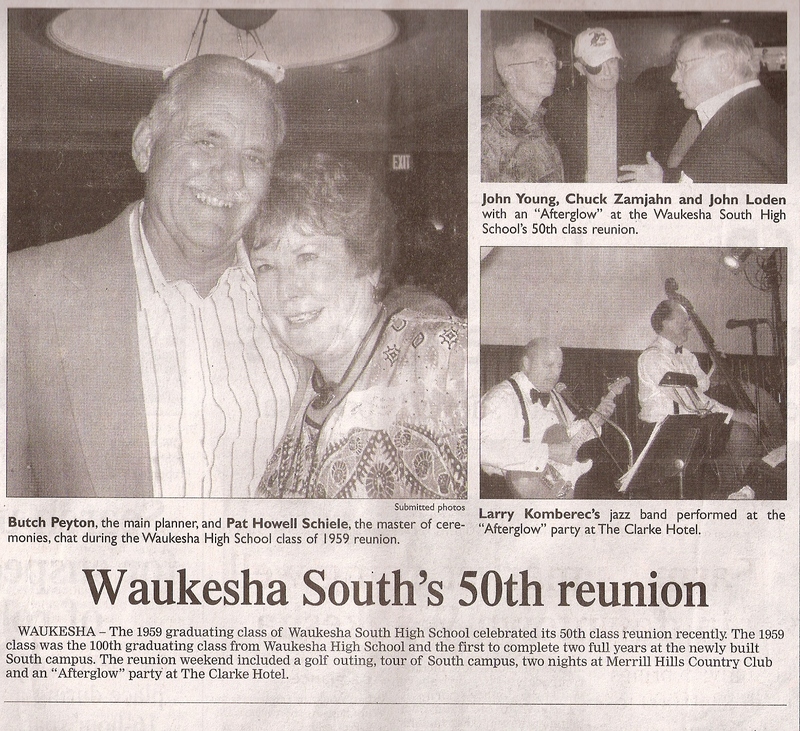 Sadly, Lee Majeskie and Bill Coleman are no longer with us and Peter Jensch hasn't been heard from in years, leaving Linda Rozek Vincent to do a lot of the"heavy lifting" in this and past reunions. Remember these names, they are the answer in FAQ. Hey Linda! You really should have taken the glasses off.